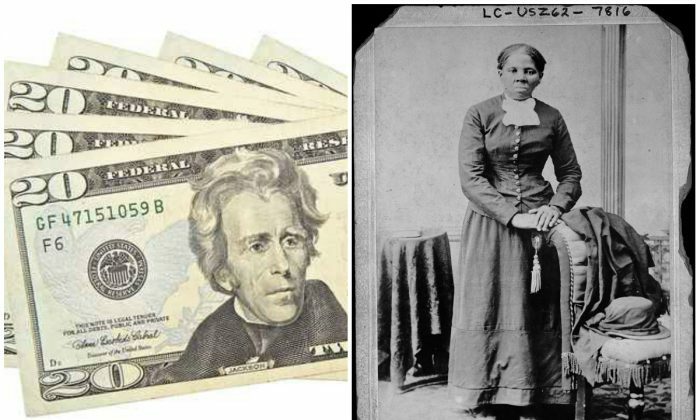 Harriet Tubman, an African-American woman who helped slaves escape, will replace Andrew Jackson on the $20 bill, said U.S. Treasury Secretary Jack Lew on April 20. She will be the first African-American woman to be placed on U.S. money. Alexander Hamilton will remain on the $10 bill after public opinion swayed the decision. Officials said the back of the $10 bill will feature an image of the historic march for suffrage that ended at the Treasury Department, and will honor the leaders of the movement Lucretia Mott, Sojourner Truth, Susan B. Anthony, Elizabeth Cady Stanton, and Alice Paul. Lew said the back of the $5 bills will honor important events at the Lincoln Memorial, including prominent figures like Martin Luther King Jr. and Eleanor Roosevelt. Jackson will not completely disappear from $20 bills, he will be put on the reverse of the $20 bill, as well as an image of the White House. The move comes after Lew announced last year he was thinking about replacing founding father, Hamilton, on the $10 bill with a woman. 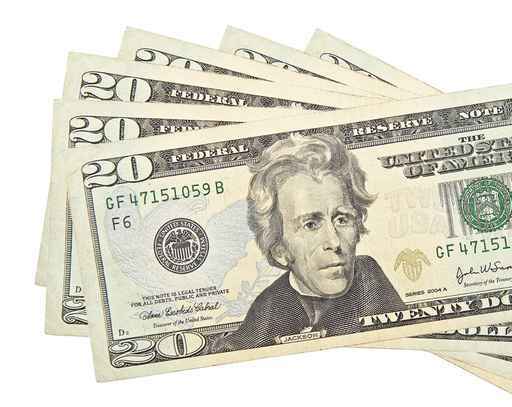 Critics suggested that Jackson be switched out of the $20 bill instead. The initiative to keep Hamilton on U.S. money picked up after the huge success of the Broadway hip-hop musical named after the former Treasury Secretary. Lin-Manuel Miranda, who won the Pulitzer Prize for “Hamilton” this week, personally asked to keep the founding father on $10 bills. Miranda said Lew later told him “you’re going to be very happy” with the monetary redesigns, according to Politico. Many women were also upset about the possibility of Hamilton’s removal. They took to social media to say that taking the “hottest founding father” off money was a bad idea. Martha Washington and Pocahontas are the only other woman to have graced paper money in the United States. Washington appeared on a $1 silver certificate in the late 1880s for a brief stint. Pocahontas, a native American, was on the back of a $20 bill in the 1860s. Lew said the Bureau of Engraving and Printing will work closely with the Federal Reserve so the new bills can be circulated as soon as possible.